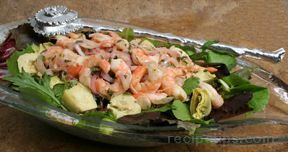 The light dressing featured in this salad allows the great flavor of the shrimp to be the star attraction. 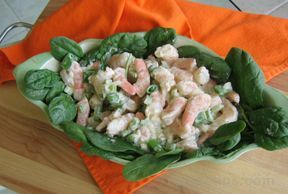 Combine the shrimp, celery, onion, and pea pods in a serving bowl and set aside. In a small bowl combine the mayo, lemon juice, and seasonings. Stir until well blended. Add the mayo mixture to the other ingredients and stir until evenly coated. 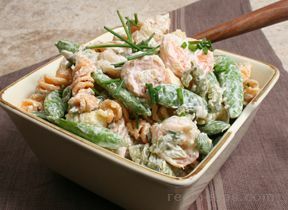 Cover and refrigerate for about 1 hour before serving.